Tipiak’s pioneering spirit is deep-rooted in our history. We started out by circumnavigating the world in search of exotic ingredients to bring back to France. Our name itself is derived from the Tupi-Guaranian (a language spoken in the Amazon River Basin) for tapioca, which we famously introduced to the French market. The Tipiak of today was created from the merger of two century-old French companies and we remain faithful to our maritime tradition to this day (hence the clipper in our logo). We are still dedicated to exploring the world for the finest ingredients in order to bring authentic and exciting new flavours and ingredients to our customers. 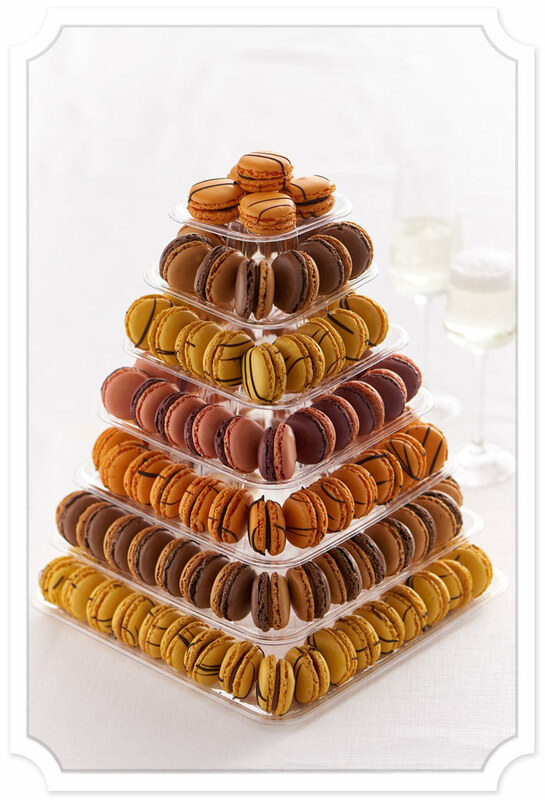 We believe Tipiak is the perfect partner for chefs, with our large range of premium frozen ‘thaw and serve’ buffet food, including our iconic gluten-free macarons, sweet and savoury canapés, petits fours and mini éclairs. We offer only the highest quality products to guarantee excellence every time. Our dedicated and passionate team of experienced bakers, chefs and pastry chefs bring their expertise to your kitchen, enabling you to focus on everything else, without ever having to compromise on quality.